intersection of Belknap, Riverside, and Race Streets. Just east of The Griddle was Brim's Tavern, at 3214 E. Belknap. 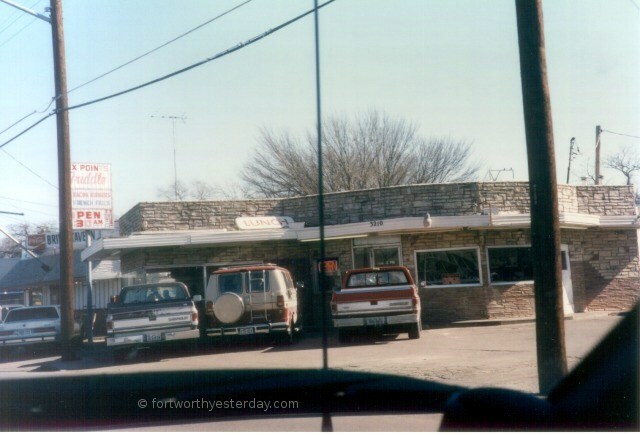 in the Fort Worth telephone directory it is listed as "The Griddle # 11". 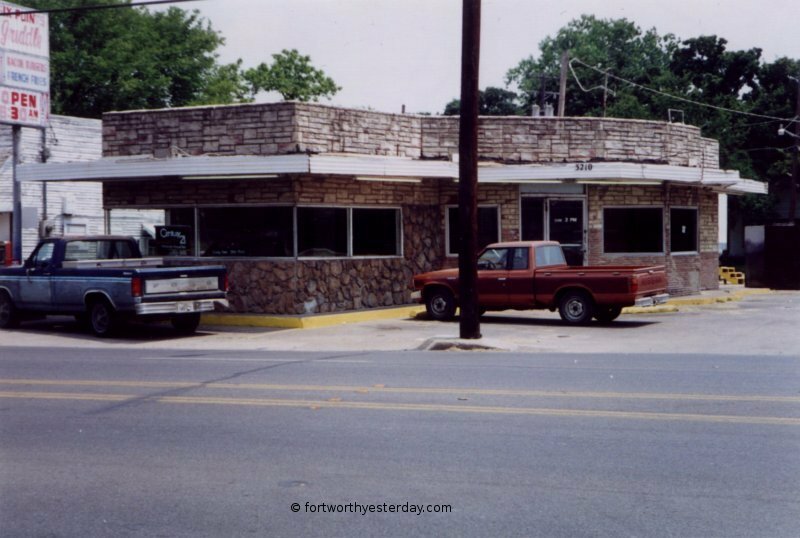 There is also (in the 1984 phone book) another location, "The Griddle #12" at 4013 E. Lancaster. I have never seen the other location. The above two photos were taken around 1997 by John Cirillo. 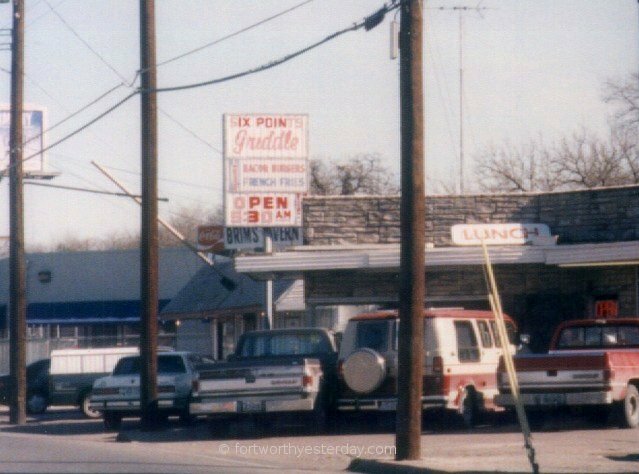 Brim's Tavern sign can be seen behind the Six Points Griddle sign. A local favorite, Six Points was usually packed at lunchtime. It has since been torn down. A different shot of the Six Points Griddle, taken in 1999 by Terry Grimes. 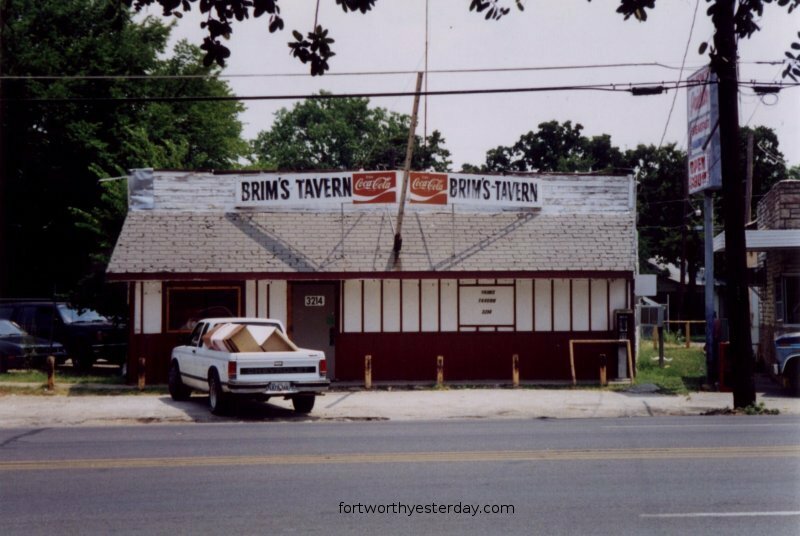 A shot of Brim's Tavern by itself in 1999. Photo by Terry Grimes.